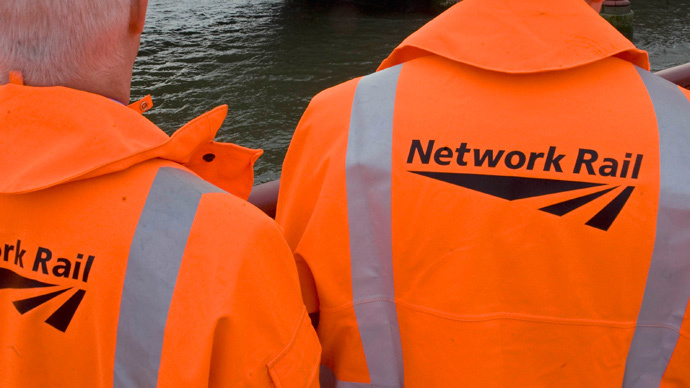 The National Union of Rail, Maritime and Transport Workers (RMT) will take strike action next month after rejecting a pay offer from Network Rail. RMT will hold the first UK-wide rail strike in 20 years, beginning with a 24-hour strike from 5pm (BST) on Friday June 4 and a 48-hour strike from 5pm (BST) on Tuesday June 9. Britain’s largest rail union will also hold action short of a strike from 00.01 on Saturday June 6 to 23.59 on Friday June 12. RMT said Network Rail latest pay offer failed to maintain living standards and working conditions for its workforce. The union said a “decent pay settlement” was affordable. RMT members working at Network Rail voted in favor of strike action by an 80 percent majority, with a turnout of 60 percent. Some 92 percent voted in favor of action short of a strike. RMT General Secretary Mick Cash said union members had been left with “no option” but to begin a “rolling program of industrial action” after rejecting the pay package. Network Rail’s latest offer was a two-year deal, with a 1 percent rise this year and a rise of around 1.4 percent next year. The state-owned infrastructure provider promised there would be no redundancies during this period. The union also pointed out that Network Rail is paying out £60 million in bonuses, with top managers able to earn up to 50 percent of their income in a bonus. He added RMT remains “available for talks” with Network Rail and hoped the company will appreciate the anger among staff. RMT had planned to strike on Monday June 25, but called the action off when Network Rail offered a new deal. In what unions described as a “puzzling” move, Network Rail sought to take out a legal ban on May 19 on the first planned national strike. The first strike was announced days after Tory Business Secretary Sajid Javid said the government will introduce new laws to stop public sector industrial action going ahead unless they have the support of at least 40 percent of workers eligible to vote. RMT achieved this minimum in its ballot for strike action.